The Official Euro patch have been released at April 2012. 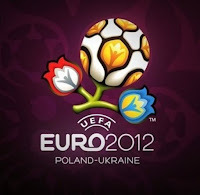 It is available for download.The new patch has got Euro 2012 matches in it. HOW TO DOWNLOAD EURO EXPANSION PATCH ? To download just start your Fifa 12 and connect to ea servers then a update will popout.Download and install the update and go to the menu and select Euro2012.From there you can purchase the expansion pack..
"THIS PATCH CANNOT BE USED IN PIRATED VERSIONS "